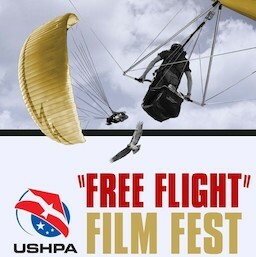 The San Diego Hang Gliding & Paragliding Association presents the 2018 USHPA Free Flight Film Festival, featuring five new films showcasing hang gliding, paragliding, and adventure travel in the US. The two-hour showing will be held at on November 17th at The Palomar Main LZ starting at 6pm with Fly-in & BBQ before. The amazing visuals and compelling stories are sure to appeal to all audiences – pilots and non-pilots alike.